If you are having a problem with a wild animal, please select your Delaware city/town from the map or list above. 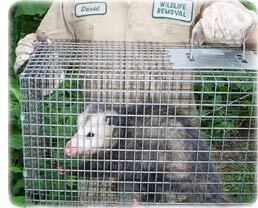 This Delaware animal control directory lists the phone numbers of professional wildlife removal experts throughout DE. These nuisance wildlife control operators deal with conflicts between people and wildlife such as squirrels living in an attic, or raccoons digging through the trash can. Call the licensed and insured professional listed here, and get the problem taken care of once and for all. There are many Delaware pest control companies, but most of them treat for insect problems, and have little experience dealing with wild animals. Our specially trained technicians have the specific knowledge and equipment necessary for Delaware wildlife management. We are not extermination companies, we are professional Delaware trappers of wildlife. We are humane, and do a complete job - everything from animal damage repairs to biohazard waste cleanup. 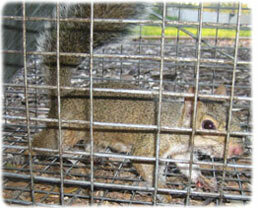 Our DE animal control experts can handle many wildlife issues. Examples include Delaware bat control and removal. It takes an experienced pro to safely and legally remove a colony of bats. The same goes for bird control, such as roosting pigeons. We know all the species of Delaware snakes, and can safely remove them. We most commonly deal with animals in the home, such as rats or mice in the attic, or raccoons in the chimney. Select your area on the map above, and find a professional in your home town. If you need assistance with a domestic animal, such as a dog or a cat, you need to call your local Delaware county animal services or SPCA for assistance. They can help you out with issues such as stray dogs, stray cats, dangerous animal complaints, pet adoption, bite reports, deceased pets, lost pets, and other issues. We have those numbers listed here for your convenience. If your city is not on our map, consult your local blue pages. The Best Way To Remove Rodents Out Of The Attic - A rodent can come into your home through a very small space and make a home in it almost anywhere. Despite the big selection rodents seem to love some places more than others, and one of those places is the attic. The attic is a great hiding place as well as the best shelter that your home can provide. It keeps the rodent safe from most predators including humans. If you have a rodent in your attic now then you will want to learn the best way to remove rodents out of the attic. Taking into consideration that most attics to not allow you to have a lot of mobility, you should not try to remove the rodent by catching it with a towel. Rodents are very fast and the sudden movements can cause you to get injured up there. Instead you should go for a method where you do not even have to be there in order to work and that means setting up a few traps so that the rodent (or rodents) can be later disposed of. Traps are available in hunting sports as well as the best home and gardening stores, and they will not cost much. If you need Delaware raccoon removal, rat trapping, squirrel removal, or have any questions about a wildlife problem in Delaware, please give your local company a call and we will listen to your problem, give you a price quote, and schedule an appointment, usually same day or next day, to solve the problem.